Arriving in a striking and stylish limousine at a place where thousands of people are gathered, will give an opportunity to feel special, elegant, and memorable for you and your friends. 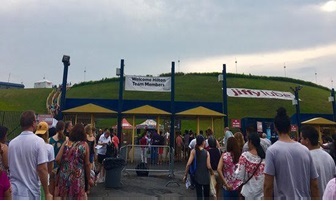 Finding a parking place at Jiffy Lube Live could be a nightmare; it often consumes your precious time and sometimes incurs punitive charges to find a spot. Also, you have to bear in mind to leave early immediately after the concert to avoid traffic. Our experienced and professional chauffeurs will pick and drop you off at the door giving you a peace of mind. Each year, thousands of drunk driving accidents are caused not by people who are extremely intoxicated, but those whose blood alcohol level is just barely above the legal limit. It’s natural to want to celebrate an evening at a concert by enjoying alcoholic beverages with friends. Atlas Limousine & Sedan Services will allow you the opportunity to enjoy this aspect without worrying about driving home and putting lives at risk on the road. 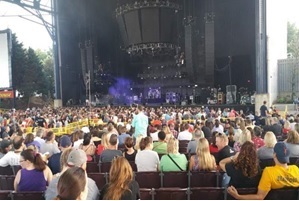 We are fully cognisant of the fact that planning to attend a concert could be stressful and a bit expensive; therefore, we feel proud ourselves in providing an exceptional and professional service to our customers at quite economical rates. Our fleet comprises a wide range of vehicles (Hummer, Cadillac Escalade, Rolls Royce/ Chrylser 300 Conversion, Lincoln Stretch, SUVs, Sedan, Buses, and Party buses) for passengers ranging from two to fifty-five. The vehicles in our fleet are engineered to please, and we’ll do everything we can to make your experience as enjoyable as possible. Have a few favourite CDs you want to listen to? Want to plug in your iPod or MP3 player to listen to your favourite party playlist? Feel free to bring it along! Our limos also have DVD players, so you can even watch a movie or episodes of your favourite TV show while you enjoy the night!